Novelty Items Do Not Meet D.O.T. Standards. Our Finish Is The Real Thing!! Actual Helmet Has Mirror Like Finish. This helmet is awesome. I've searched high and low for a 2XL German helmet that fits and this one worked out great. 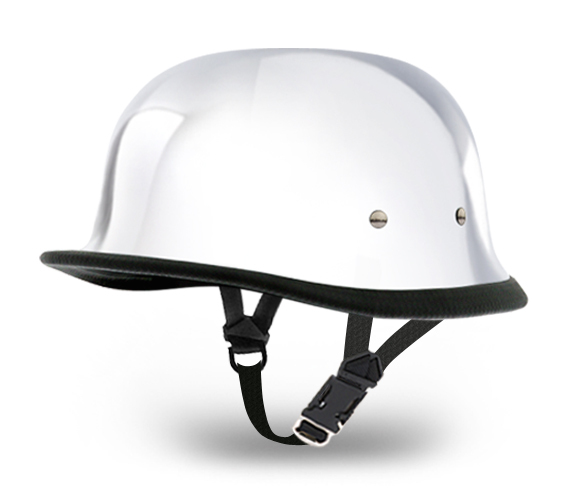 I've tried multiple DOT helmets that just didn't fit so I began to look for a novelty. After 4 attempts with the DOTs and 2 attempts with other novelty helmets, this one is what I was looking for. It looks great, it's comfortable and doesn't sit too high on my head like the rest. I've very pleased.